Compatible Brother rainbow bundle value pack of guaranteed print quality TN253 Black and TN257 colour toner cartridges. 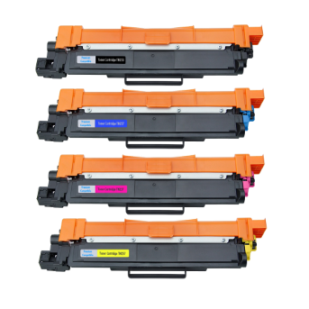 One (1) Black TN253BK and One (1) each of high yield TN-257C Cyan, TN-257M Magenta & Yellow TN-257Y all Compatible printer toner cartridges. Page yields : 2,300 for each colour toner cartridge Cyan, Magenta, Yellow and 2,500 pages for Black. Designed, manufactured and print quality guaranteed for use in HL L3230, HL3230cdw, HL L3270, HL L 3270cdw, MFC L3745, MFC L3745cdw, MFC L3770, MFC L3770cdw Brother colour laser printers. Prompt same day shipping, overnight delivery. 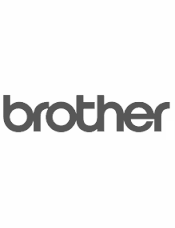 This product is manufactured, marketed, sold and guaranteed independently of Brother International (Australia) Pty Ltd.